For example, the Roctane XD’s 8-ply-rated radial carcass is built to confidently handle ever larger, faster and heavier UTV applications. With this requirement in mind, the Roctane is being rolled out in 11 sizes, including super-tall 30- and 32-inch models. 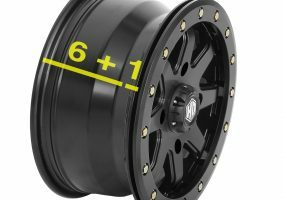 Sizing is 25x8R-12, 25x10R-12, 26x9R-12, 26x11R-12, 26x9R-14, 26x11R-14, 27x9R-14, 27x11R-14, 28x10R-14, 30x10R-14 and 32x10R-14. Yes, that size range makes the Roctane XD a solid choice for many ATV applications as well. 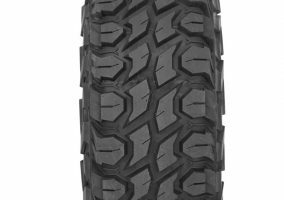 The editors at Dirt Wheels Magazine had high praise for this new tire. For the whole story, click here. 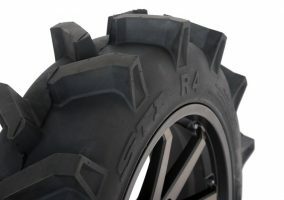 STI Roctane XD tires are available at finer ATV/UTV dealers everywhere. Check out the Roctane in action, courtesy of our friends at Ruthless Motor Sports. An inside look at the Roctane’s heavy-duty 8-ply-rated carcass, super-thick RocWall sidewall and extra-deep RocGuard rim guard.